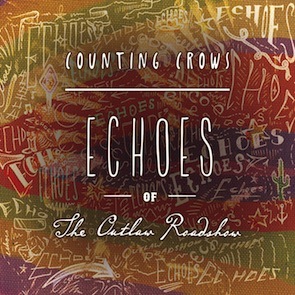 I must admit to being surprised that Counting Crows have chosen to release this live album. After all, it's only a couple of years since their last live album (August and Everything After: Live at Town Hall). With the last studio album - 'Underwater Sunshine (Or What We Did On Our Summer Vacation)' having been a collection of covers, I'd expected them to follow it up with a studio album of new material given that it's been five years since their last album of new material. Having said that, the band are touring and are about to hit the UK and the rest of Europe, so a live album to coincide with that does make sense, especially given the band's reputation as a great live band. The songs on the live album include four from the Underwater sunshine album along with tracks from their other albums. Given the band's reputation for changing the show every night of a tour, then even if you saw them on this tour then it's highly unlikely that the show you saw matches the track listing of this album exactly, and even if it did then the songs would sound differently as they change constantly during a tour. It's a great live album - the sound quality is superb, and the songs all sound fantastic, and even the ten minute version of "Round here" doesn't seem that long - it doesn't drag at all which is testament to how good it is. It's an album that I've listened to a dozen or more times already and I'm still loving every minute of it. Counting Crows are a band that are definitely worth seeing live, and if you can't make one of their tour dates then this album is the next-best thing. A great live album that Counting Crows fans are going to love. 'Echoes of the outlaw roadshow' is out now.